Management dashboards can help you manage all your sites in bulk to increase your efficiency and productivity, saving you oodles of time. But with so many options out there, which one should you choose? Dashboards for WordPress sites list all of your sites, plugins and themes in one super convenient location. They also let you update everything in one or two clicks, whereas if you didn’t use a dashboard, you would have to visit each of your sites individually to make updates. All of these details should help you make an informed decision so without further ado, let’s get to it. Click here to go straight to my reviews of the top six management dashboards. What is a WordPress Management Dashboard? The main purpose of any management dashboard for WordPress is to provide a way for you to maintain all of your sites and the updates that become available for your plugins and themes in one place. This is done through a single page where you can connect all your sites and manage them in bulk. The centralized location of the dashboard also lets you manage all of your sites without needing to log in to each and every time. It goes without saying that it helps boost your overall productivity and efficiency by giving you a quick way to manage your sites. By now, you may be wondering “why is she describing the super admin dashboard of WordPress Multisite and calling it by a different name?” Actually, management dashboards are very different from Multisite. While there are clear similarities, the biggest difference is that management dashboards let you manage all or your sites, whether they’re from the same or separate Multisite networks or single installs of WordPress. You can also link up sites from different servers to a management dashboard. With Multisite, you can only manage sites within your network. Also, if you want to activate a plugin or theme on only a few of your subsites that aren’t network activated, you would need to go to each site separately and activate the plugin or theme, then go to the other sites and do the same. Manage plugin and theme updates in bulk: You’re able to deactivate and activate plugins and themes on multiple sites at once, all from the same page. Access sites either externally or internally: You can manage your sites from a dashboard outside all your sites and from one that offers the management dashboard or as a plugin where you can link up all your sites to one WordPress installation. 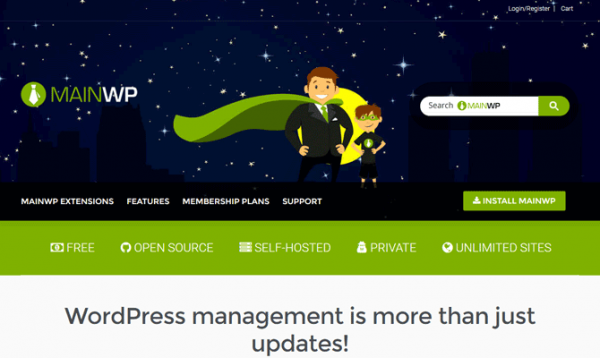 Push WordPress updates to a select number or all sites: In addition to being able to toggle plugin and theme updates, you can also choose to update the WordPress installations for your sites. Content and comment management: Edit, delete, write or mark comments as spam for your sites in your dashboard as well as write and edit posts. Some options do include other settings, but these are the most common features that you can usually find in different combinations for different management dashboards. There are some key features which make management dashboards an excellent tool. Here are the main benefits in detail. Centralized Interface: Being able to manage all your sites in one place, no matter where they’re hosted or what network they may be a part of is an excellent way to keep things simple and efficient. After all, it’s easier to go to only one place to handle changes rather than many separate ones. Efficiency and Productivity: Since everything you need to manage is within your reach or well, click, you can manage your sites a lot faster and in less time. Create Income for Your Business: If you’re a developer or theme designer. You could manage your clients’ sites easily and include maintenance as an additional service to your business to create recurring revenue without having to do so much extra work. Minimize Amount of Plugins Needed: Since many dashboard managers have multiple features included that are duplicated in the plugins you already have installed, you could eliminate all those extra plugins. In turn, this would speed up your site for a better user experience and SERP ranking. Lightweight: In the case of external management dashboards, they’re hosted away from your server, which means your site doesn’t have to compete with your dashboard for resources such as storage space, memory and bandwidth. It leaves a lot more wiggle room for your site to run smoothly. Unfortunately, there are also a few reasons why using a management dashboard may not be all it’s cracked up to be. Here’s what you need to look out for in detail. Potentially Less Secure: For external dashboards, you’re relying on the security of the company which provides the dashboard so if they’re not keeping their service secure, your sites are placed at risk as well. It’s especially riskier if you sign into your sites from the dashboard. It’s also important to note that any external dashboard manager should not store your login credentials at any point. Doing so would pose a serious potential security risk. On the flip side, most options have top-notch security. Still, it’s a good idea to keep this in mind when you’re considering your options. Drain on Resources: For internal management dashboards, you’re solely responsible for allocating the resources it takes to run it. If the plugin is bloated, it could seriously weigh down your server which means your sites wouldn’t have enough breathing room to run properly and your visitors could quickly take notice. Internal management dashboards also have the added expense of being self-hosted. If the plugin isn’t free or you need premium upgrades, it may prove to be more hassle than it’s worth. Counter-Productivity: Some management dashboards are so robust, using them can be tricky and have a steep learning curve. If it takes you forever to figure it out and become comfortable with using it, you end up being a lot less efficient and productive. It would negate the whole reason for having a management dashboard. You also need to make sure you’re able to carry out the bulk actions you need to for your sites. If you aren’t able to manage your sites the way you want, then this also defeats the purpose of having this kind of service. Ultimately, this is why it’s important to shop around and make sure you pick a management dashboard that fits your particular needs. Here are the main details you should consider when choosing a suitable option. As previously mentioned, the management dashboard you choose needs to be easy for you to use. If it’s costing you time to learn the ins and outs of it, it costs you your productivity. It also helps if you know that you can pass on the expense to your clients. If you can charge them a monthly maintenance fee, it’s easier to justify the added expense. Even if you can’t directly pass on the cost of the dashboard, you can still determine if it’s saving you time and money by providing you the opportunity to be more efficient in streamlining your work and process. Management dashboards are like snowflakes since no two are alike. This means that you may find certain options are more intuitive for you to use than others. This also means not one dashboard is right for every single person out there. You need to try them out and pick the one you think will be fastest for you to use. The quality of support you receive should also be an important factor, possibly moreso than for other products and services. Since the goal of using a management dashboard is to make your life easier, why should you accept customer service that makes your life more difficult? You should also be able to make feature suggestions that are taken seriously so you can make even quicker work of otherwise teadious tasks. The age-old question: Do you choose an internal or external management dashboard? It’s important to decide what’s most important to you in the feature set they each bring. Internal dashboards offer an increased level of security since you’re in complete control and don’t need to log in and share your personal information with anyone. On the other hand, you’re completely responsible for your server, site and dashboard’s security. If keeping a tight and secure ship isn’t your forte, it may be best to leave it up to someone else to manage it for you. Make sure you know what features you need and choose a dashboard that has them since there are solutions out there that have little features when compared to others. This is especially important when you need to do a task in bulk, only to find out that you can’t. Some services also only have a certain number of bulk managing settings while making other bulk actions premium so watch out for that. Many management dashboards also have other premium extensions for added capabilities. Check out what kind of extensions are available (if any) and make sure you have what you need, but also that you have room to grow. As previously mentioned, you need to make sure you have the level of privacy you want. If not being required to login externally is important to you, then consider an internal solution. It’s not likely an issue for most sites, but sometimes it’s an essential requirement. If you’re managing client sites, be sure to go through their privacy and security needs beforehand to be sure you can offer them maintenance services through the proper management dashboard. At the end of the day, it’s ultimately up to you to decide which features are most important for your sites. One size doesn’t fit all in this case so you need to go with the management dashboard that will fit your specific needs. Don’t just pick a dashboard service based on one factor such as popularity. Don’t just pick a dashboard service based on one factor such as popularity. Fortunately, you can refer to this post for pointers to make an informed decision. These are the top six management dashboards out there. The best features of each are detailed below along with their individual strong points and drawbacks. Please note: These reviews are current based on the pricing options available at the time this was written. Now that we have taken a look at each management dashboard solution individually, here are the top options compared side-by-side in each category. If you’re looking for an external management dashboard, take a closer look at Perfect Dashboard, ManageWP, Jetpack Manage and CMS Commander. For internal, self-hosted options, check out MainWP and InfiniteWP. You can get all the features you need for personal sites with Jetpack Manage, MainWP and CMS Commander. These options have the core free features needed to manage personal sites and blogs in case you aren’t wanting a premium subscription. They’re also quite user-friendly. For developers and agencies, Perfect Dashboard, ManageWP and InfiniteWP are among your best options to consider first since they have features and pricing options suitable for larger scale needs. CMS Commander is the best option for marketing agencies, and affiliate marketers and bloggers with its detailed SEO statistics and many monetization tools. At the end of the day, you need to determine your own specific needs and pick a management dashboard based on your personal criteria but these are the top options to get you started in your decision-making process. Do you use a management dashboard or are considering using one? What features are most important to you? Which option is your favorite? Share your experience in the comments below to add your take on the top management dashboards. I have to disagree with the assessment of ManageWP. It’s backups addon is available in a bulk package and can be run in batches and automatically. It also has bulk plugin install update delete and the same for managing users. Maybe you tested an earlier version, but ManageWP is a powerhouse at the moment, and this review mis-characterizes the features available. I’m probably migrating to Main WP soon, for the ability to integrate my own add-ons and custom features, but Manage WP has been a joy to use and is overpowered compared to competition in terms of out-of-the-box features AND pricing. ManageWP has added a lot of solid integration as well. Slack integration, I forgot to mention that. Being able to list/login and receive notifications about websites in Slack is very nice. ManageWP just keeps adding stuff. I’m shocked that https://wpremote.com was left out of the equation as a free alternative and perfect solution. It’s always been free but there is a backup paid option that I’ve never looked into since my host does that already. I’ve never used their service and looked for an option I needed but couldn’t find. I’m not even aware of a cap on the number of sites? Trouble free for years, no visible cap on sites, and free, I’d say your solution for firms and individuals is right there. I’d really love to see WPMUDEV get “The Hub” to a point where I wouldn’t need any of those! I have tested almost all of those and I really love Orion. The one drawback is that it has some serious issues with multisite if you are using the domain mapping plugin from WPMUDEV. Does anyone know if any of these management tools works well with multisite and domain mapping? Why not get it to that level? It takes a lot of time developing, discussing, testing, debugging, fixing & costs a lot of money in development costs etc, so currently it’s all being done in intervals rather than all at once, less to go wrong if we introduce features 1 or 2 at a time. Currently we’re adding & working on cloud backups from the hub/snapshot plugin which is being tested currently behind the scenes & is nearly ready for deploying to members. @Vaughan I know what you mean! It is something on my wishlist but I am patient and am glad the wpmudev team doesn’t rush an unfinished product. If its never going to be a full replacement, then maybe concentrate on adding and API, so those of us who use one of the above tools, can ask to get the WPMU hub integrated to that too. Currently using two dashboards is a bit of a pain, and I lean more towards my dashboard than using WPMU, so pulling that functionality into another tool would be awesome. p.s I use ManageWP orion and think some of the features you say are missing are there. Bulk updating of plugins is available as are flexible backups. I use InfiniteWP but I have the premium addons so for me it rocks! Super easy for me to use and the support has been really great with it. I’ve been working with InfiniteWP for a few years now. I ended up purchasing a few of the add-ons that to be honest, it’s a pretty slick tool for a self-hosted WordPress Management tool. Support always responds within 24 hours and their beta releases are include more and more new free features and well as expanded and improved paid plugins. It is good to see that there are more options available now. In addition to those covered, ithemes sync is another well supported solution. 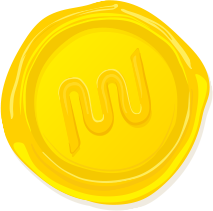 You can update individual plugins and themes with MainWP. Since I keep a local copy of my sites for development, I appreciate that I can update sites using it. Some of the solutions understandably do not support localhost. Also, I agree with others who have commented that ManageWP’s Orion has a lot going for it and some of those features may have been missed. I saw some things to look into. Thank you for the article. What a fantastic article and an equally fantastic chiming in of many members with their additions and insights. Thank you Jenna and GREAT job WPMU DEV! MainWP will allow you to update themes and plugins on an individual basis per site. The cons you list for MainWP are all actually things you can do with it (I should know, as I do them all). In fact, the Multisite stuff is the reason I chose MainWP in the first place. And while it might not be obvious how to do it, you can indeed update plugins and themes individually in MainWP. It’s an honor just to be mentioned on WPMUDEV Blog, but perfectdashboard.co being rated as the best website management tool is just awesome! This will only keep us work harder for all our users. @david_mccan, @Christopher, and @Keith are correct about MainWP. Even though the following isn’t part of the criteria used in this post, I think it’s important to note that the MainWP dashboard is actually a WordPress plugin that runs within a WordPress instance. So, not only does one have the amazing dashboard functionality to manage multiple WordPress websites that MainWP offers, but one can also build functionality on top of that via the WordPress plugin ecosystem. MainWP is also Free Software (Open Source) which I think is different from all of the others mentioned so far. Any chance you can update the blog post to reflect MainWP more accurately? I am looking for a management tool. To me the CMS Commander have the most interesting features. But I see it gets the lowest score in this review. 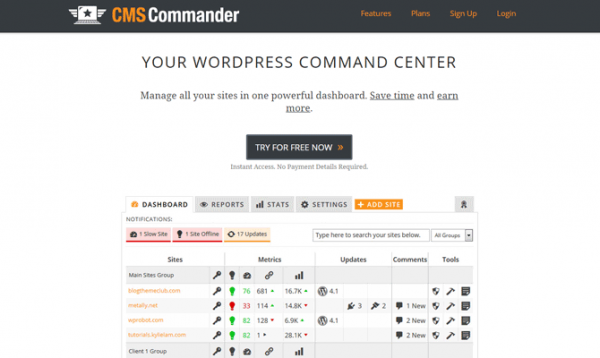 Is there any of you that have used or is using CMS Commander that can say their opinion on the tool?